As the world’s top athletes get ready for the Rio 2016 Olympic Games, Omega has set another winning standard in watch-making. It has taken sports timekeeping to another level by introducing the “Seamaster Diver 300M “Rio 2016” which is limited to 3016 pieces only. Omega, the official timekeeper partner of the Olympic Games since 1932, has carried forward the tradition this year too. The design of this limited edition of Omega watches has derived inspiration from the Copacabana waves. The pattern has been adapted from the mosaic design on Copacabana’s sidewalks and used as stimulation for a similar pattern on the watch’s striking lacquered black dial. The Seamaster Diver 300M “Rio 2016” edition features a uni-directional rotating diving bezel made from black polished ceramic. What sets this edition apart from its previous models, are the lacquered numbers in red, green, yellow and blue – which symbolize the liveliness of Rio as well as the five colours of the illustrious Olympic rings. Other features of this timepiece are same as the iconic Omega Seamaster 300M style. These consist of a date window at 3 o’clock, a helium escape valve at 10 o’clock, and polished facetted skeleton rhodium-plated hands coated in white Super-LumiNova. Presented on a stainless steel bracelet, the timepiece is driven by the exclusive OMEGA calibre 2500 and is water resistant up to 30 bar (300 metres / 1000 feet). 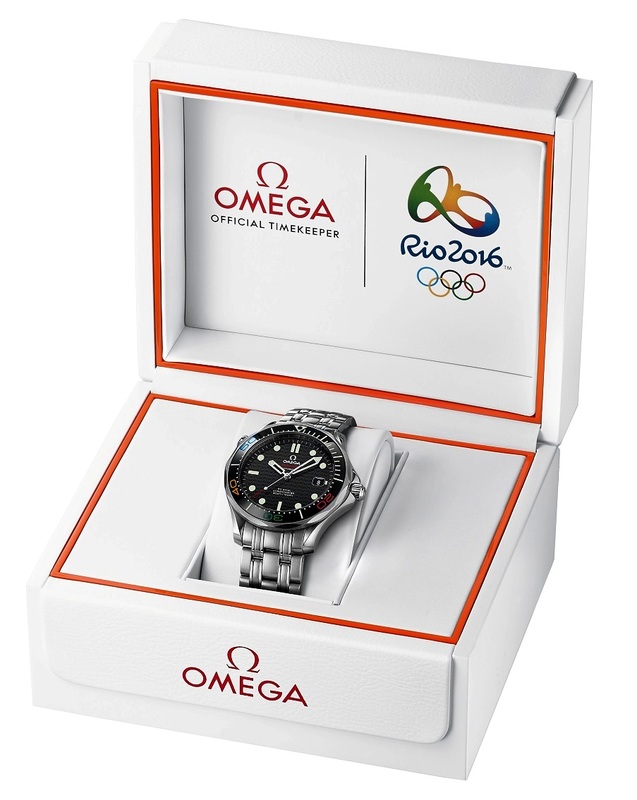 The screw-in case back has been embossed with the “Rio 2016” logo and engraved with a unique number on the reverse side of the polished stainless steel case of the watch. The price Seamaster Diver 300M “Rio 2016″ limited edition is INR 268,100.